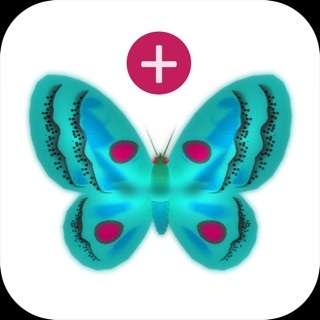 PopMath Lite is the free version of the award winning "PopMath Original" with additions only. 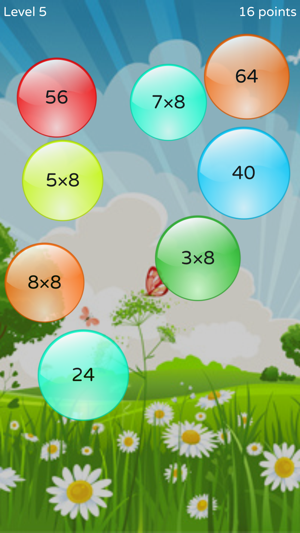 It is a fun way for kids to practice basic math: 6 pairs of bubbles with numbers float on the screen above beautiful backgrounds. 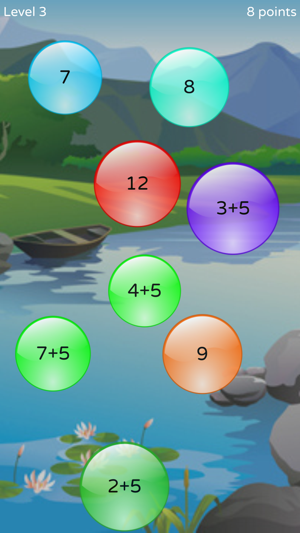 Each bubble contains a number, like 7 and 3+4: pop the right pairs! 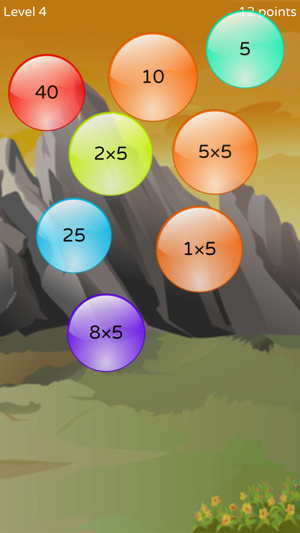 As you progress through levels, numbers increase. End of levels greet you with your time for that level, a message personalized to your performance, and the number of mistakes you did. This free version is limited to additions. 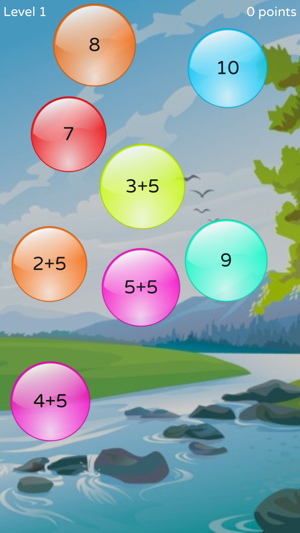 The full version PopMath features additions, subtractions, multiplications and divisions, including the choice to practice a given operator for even better drills. It also contains many more background images for more fun. 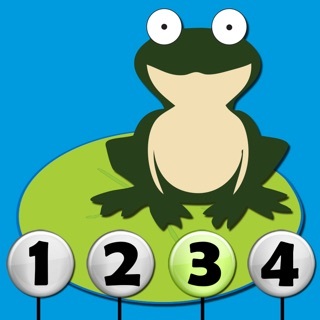 I really like this game for my students but I wish you could select the math function you want them to practice. I would like them to practice their multiplication facts and they have to go through the addition and subtraction first. It would be hand to be able to select the operations. 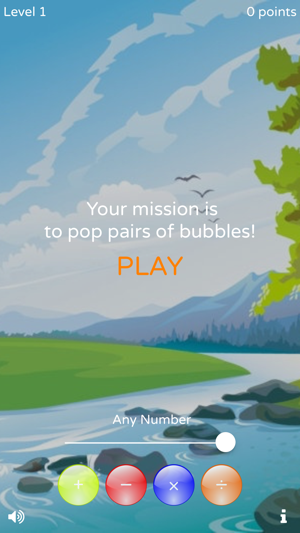 My 9 year old daughter who struggled all through 3rd grade has been playing this all summer to keep her math skills fresh. Some of it is a little bit too advanced for her still, but you know you have a good product when a kid asks to play an educational game. Great game for my daughter! My daughter loves this game and plays it a lot! We've not had any problems with crashes. I do wish you got just a little bit more on the free version, but I understand. 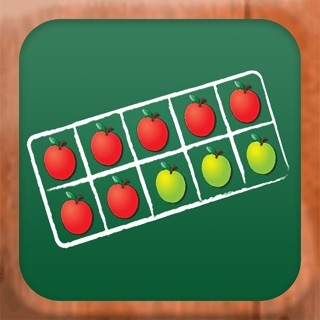 All in all, it's a solid and fun app!